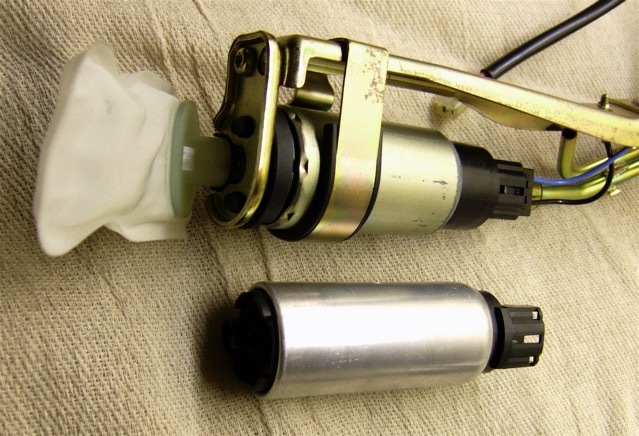 I have seen a couple of GTS1000s with dead fuel pumps, only clue is the 15A fuse keeps blowing under the seat. This fuse feeds the fuel pump, fuel injectors and also the ECU. If you get dried up fuel deposits in your pump, because you've left stale fuel in there for a few years, the pump motor will stall and the fuse will blow. It is possible to tease the pump apart, as it has an annular crimping detail, but it's not ideal and in all honesty is probably beyond most DIYers comfort levels. 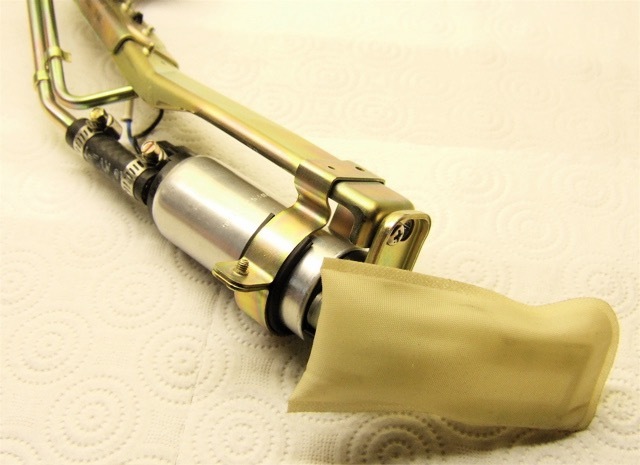 Of course you could get a pump from Yamaha, but they only sell the complete pump assembly, and by then you'd be down several hundred pounds, last time I looked it was six of them! What I needed to find for a couple of folks local to me was a cheaper alternative, and fortunately I had an OEM pump assembly from last years 2007 Treffen in Germany, provided by DrGTS from Denmark, when a UK guys tank went porous, and we borrowed the complete set up from his display exhibit. The original unit is a Denso, and some trawling around on the net, I located a couple of possibles. Quick search on eBay for cross referenced universal versions located a couple in the USA. Anyway, after a few weeks the sample pump arrived an AC Delco unit, suitable for a Honda Accord circa 1995, and the pictures speak for themselves.